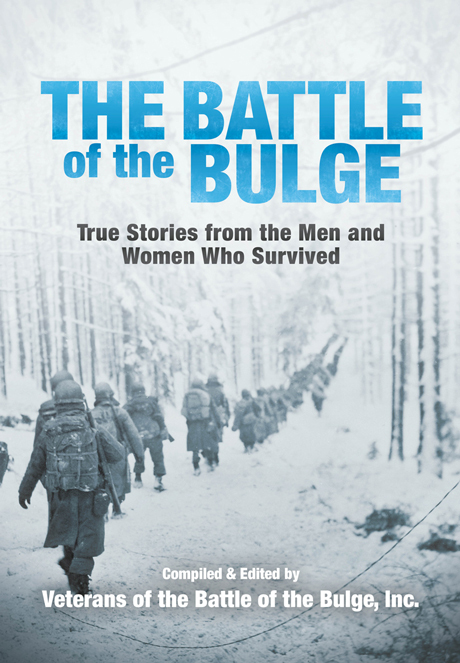 We’re pleased to announce that The Battle of the Bulge is now officially available to the public. The book was produced in collaboration with The Veterans of the Battle of the Bulge, Inc., a membership organization that works to preserve World War II veterans’ memories, as well as historical sites and records relating to the Battle of the Bulge. On December 16, 1944, their lives changed forever… The Battle of the Bulge is a compilation of firsthand accounts narrated by the men and women who endured one of the bloodiest conflicts in American history. Drawn from the official archive of the Veterans of the Battle of the Bulge, Inc., these stories describe in riveting detail the experiences of ordinary people-from brutal combat and facing one’s own mortality to glimpses of human kindness and introspection in desperate times. Readers of all ages will find great meaning in this unique collection of memories. It is both educational and entertaining. This book seeks to preserve the legacy of those brave men and women who served the United States of America during the largest land battle ever fought by the U.S. Army, the Battle of the Bulge: December 16, 1944 to January 25, 1945. For more details, please see the book’s info page here, or visit the Veterans of the Battle of the Bulge, Inc. at their official website here. The Battle of the Bulge is available in hardcover from Amazon, Barnes & Noble, and other retailers. If you’d like to learn more about the Battle of the Bulge, the United States Army Center of Military History has an excellent overview of the conflict, including photos and links to further reading, here.